RTET exam is an Indian Entrance exam for teachers. Rajasthan Teacher Eligibility Test is mandatory for all the candidates to get a teaching job in any government school in Rajasthan. Usually, Teacher Eligibility Test (TET) is conducted by both central and state governments to fill the teacher post vacancies in various schools. In the same way, REET is Rajasthan Teacher Eligibility Test. Every year Board of Secondary Education Rajasthan (BRSE) releases the REET Notification. All the eligible candidates in the Rajasthan state can apply for the R TET Notification 2019. The eligibility for RTET is a graduate degree with B.ED. RTET exam is conducted twice in a year in the form of level I and level II. RTET Paper I is for primary teacher recruitment (class I to V). R TET Paper II is for the elementary teacher recruitment (class VI to VIII). 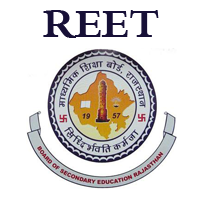 REET Notification 2019 is issued by Board of Secondary Education, Rajasthan. BSER announced the recruitment Notification to fill a large number of vacancies for the posts of Primary and Elementary Teachers. The REET 2019 is going to conduct on 11th February 2019. So, we have given the entire information about the RTET recruitment Notification 2019. Therefore, have a quick view of all the details like RTET eligibility, age limit, exam pattern, syllabus, admit card, answer key, cutoff marks, result etc are provided on a single page. Therefore applicants can have a glance at our page and fetch the required information. For further more details you can regularly visit our site www.reetresults.co.in. Name of the Exam Rajasthan Eligibility Examination for Teachers. Board Name Rajasthan Board Of Secondary Examination. Application Process Starting Date November 2018. Closing of Online Application Date November 2018. Candidates who possess at least one of the following qualification are eligible to apply for the Rajasthan Teacher Eligibility Test 2019. Diploma/ Degree in Teacher Education only from recognized National Council for Teacher Education (NCET) will be considered. Senior Secondary Education with at least 50% marks and 2 years Diploma in Elementary Education. 4 years Bachelor of Elementary Education ( B. EI.ED). Graduation with at least 50% marks and 2 years Diploma in Elementary Education. 4 years B. ED ( Special Education). B.A/B. SC. Ed or B.A.Ed/B.SC. Ed/1 year B.Ed (Special Education). Rajasthan TET Qualifying mark for General: 60% marks. R TET Qualifying mark for ST /SC/ reserved category: 36% marks. Candidates who had aimed at Rajasthan Teacher Jobs need to prepare well. Those can plan for perfect preparation. One thing you need to do initially is checking the exam syllabus. Refer the below link for complete details about the Rajasthan Teacher Eligibility Test. The subjects included and sub-topics under each topic will be given in detail in the RTET 2019 Syllabus. Interested applicants can download the Rajasthan Eligibility Examination for Teacher Last 5 Years Question Papers. Because the RTET Sample Papers will help the candidates in preparation. Practicing makes man perfect therefore Download Previous Years Question Papers and starts practice. Finally, you can check your Rajasthan TET Result of both levels on this page directly. You can go through the below link for checking your Rajasthan Eligibility Examination for Teachers 2019 Result.